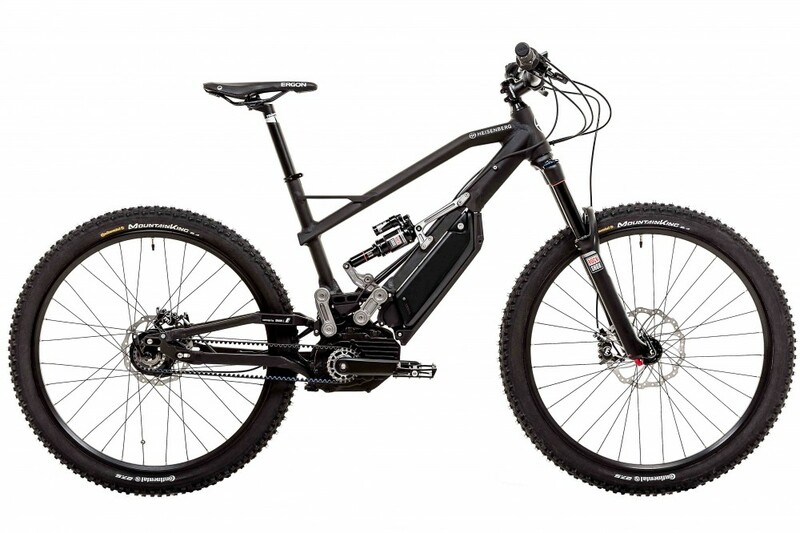 Utilising a patent from car manufacturer BMW, the world’s first belt driven full-suspension e-bike has been created. The HNF Heisenberg XF1 is the first full-suspension bike from the German e-bike specialists and it’s certainly an head-turner. It was able to create this due to a clever bit of engineering from BMWi. BMWi is the German car maker’s innovation department and it has designed a system that allows the drive motor to be attached to the swing arm. BMWi claims that, on a normal ebike, the swing arm has to stiffen under acceleration, which messes up the suspension action. On the XF1 this will not be the case, BMW believes that the design will create a bike with greater traction and “no unpleasant rocking movement when accelerating or braking“. BMW lists further positives of the design including: an even axle load distribution due to a mid mounted motor, a highly stiff frame and no pedal recoil. 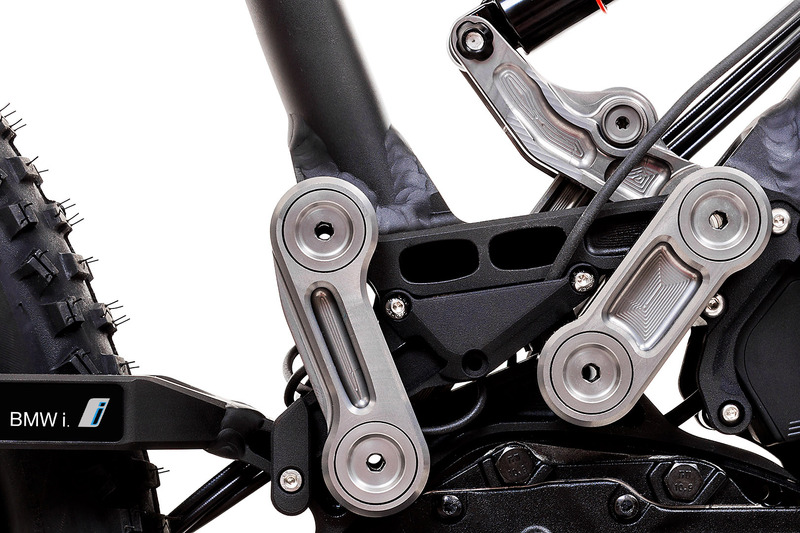 The belt drive itself also supposedly requires less maintenance than a traditional gear and chain system. As BMW had no use for the design, it sold it to Heisenberg so it could be used in anger on a mountain bike. As car companies have been known to butcher mountain bikes in the past, this seems like a decent partnership. Heisenberg has specced the bike well with 150mm of RockShox-provided travel, Magura brakes and a Rohloff speed hub. The power will be provided by a Bosch battery and motor with a 130km (81 mile) range. The bike will not be BMW branded but will feature a “concept by BMWi” sticker on the swing arm. As the name suggests however, you may need to be a drug baron to afford one – prices start at €8,345 (£5864.36).